At the spring Portland JEA/NSPA convention, JEA’s board passed a statement defining prior review and prior restraint. The SPLC also recently endorsed the statement. At the time, the Press Right Commission was directed to design a recommended process and guidelines on how advisers might handle prior review if faced with it. Below you will fine those guidelines and process along with links to supporting philosophy and resources. We welcome your input. While we know advisers will make decisions regarding prior review and other educational issues based on what they believe they can best support philosophically, JEA reiterates its strong rejection of prior review, and hence prior restraint, as a tool in the educational process. With that belief, we feel an obligation to help advisers faced with this situation. As journalism teachers, we know our students learn more when they make publication choices and that prior review or restraint do not teach students to produce higher quality journalism. As journalism teachers, we know the only way to teach students to take responsibility for their decisions is to give them the responsibility to make those decisions freely. As journalism teachers, we know democracy depends on students understanding all voices have a right to be heard and knowing they have a voice in their school and community. • Showcase student media where the dissemination of information is unfiltered by prior review and restraint so the school’s various communities receive accurate, truthful and complete information. 1. Adviser and students disagree about content for publication. 2. Adviser and students discuss all angles of the disagreement; they try to find common ground. 3. The adviser and students decide if the disagreement is based on an ethical issue or a legal one. 4. If violations of libel, obscenity, unwarranted invasion of privacy, copyright infringement or material disruption of the school process are likely at stake, the adviser urges students to get advice of the Student Press Law Center or reliable legal resource. Not just any school lawyer or administrator will do. The resource, which could include non-live information, must be reputable for scholastic media. The phrase “unprotected speech” might not be enough because Hazelwood so muddied the concept. 5. If the disagreement is not over a legal consideration, the adviser urges students to consider the “red light”-“green light” or similar questions raised by The Poynter Institute to see how various stakeholders might react if the material is published. Students see and consider the possible outcomes of publication and discuss with the adviser ramifications of their actions. 6. Adviser and students continue to discuss and explore alternative approaches until they reach a point of no possible agreement. 7. This process fulfills the adviser’s commitment to advise, not to make or require decisions, and to be cognizant of his/her responsibilities to school and students. 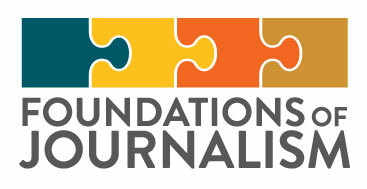 The Journalism Education Association reiterates its position that prior review and prior restraint violate its Adviser Code of Ethics and educational philosophy.